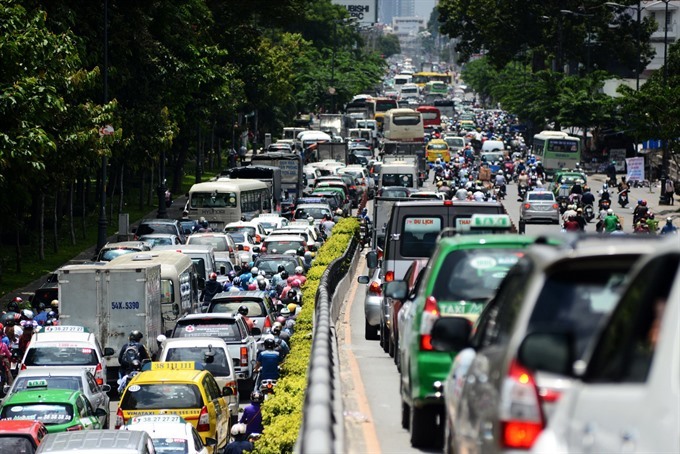 HCM CITY – An inter-departmental team of officials will study the 10 areas with the worst traffic congestion in HCM City and recommend measures to ease the problem by year-end. The 10 areas are Tân Sơn Nhất airport, Cát Lái Port in District 2, Trường Thọ Port and Tây Hoà junction in District 9, Thủ Đức junction in the district of the same name, and the Phạm Văn Đồng – Nguyễn Thái Sơn – Bạch Đằng – Hoàng Minh Giám roundabout in Gò Vấp-Phú Nhuận. The team will consist of traffic police officers, Department of Transport inspectors, Traffic Safety Committee officials, district police officers and others. The HCM City Traffic Safety Committee has warned that officials in the team failing to resolve the problem at any of the spots would face disciplinary action.